all free Detergent Can Help! I think I can say with good authority that I am not the only one that wishes that there was a laundry fairy. In fact, I have wished upon the brightest star that she would pay me a visit and help me with the never-ending mountains of laundry and help me find the ever alluding socks that seem to go missing or do not want to stay paired. Alas, I may have wished in vain but, needless to say in my sorrow journey of tackling laundry every week, I’ve learned a few tips and tricks that may be useful to you guys. These hacks are fairly simple and straightforward. You can do them yourself and by the end of it, you’ll be saying laundry fairy, who? Who am I kidding? She can still come over and fold, right? Right? Okay, I give up on that wish but, these tips won’t fail you! 1. Put Some Bread On It. Sometimes I can get a bit smoochy with my husband or kids and as fabulous as my ruby-red lip shade is, it isn’t pretty on clothes. Well, go get a slice of bread, cut the crust off and make the soft center into a ball. Just dab onto the stain until you’ve removed as much as you can. The rest will come off in the wash and when you use all free clear for sensitive skin! 2. Get the Kids Involved. Genius. Why haven’t you thought about it before? If you did, well, you’re ahead of the game. Forget the fairy, you have little helpers already. Of course, everything comes with age. Wee ones can help by gathering their clothes or placing them in their hampers. Older wee ones can help you sort and then after they can help you with socks and putting away their laundry. Older kids can organize, sort and bring their laundry to the laundry room. My daughter is 11 and she sorts, washes and folds her own clothes. No matter what age, you can make it into a learning experience. Whether it’s color recognition, folding or learning how to use the washer and dryer and skills that they’ll take with them into adulthood. My husband is a t-shirt fiend. He has hundreds upon hundreds. Which means, the closet and drawers are filled with shirts. He discovered this is the best way to fold his shirts since it makes it easier to see the design of shirt. That way it won’t get lost underneath another and you have plenty of room for a lot more in a drawer. We used to fold our shirts the way they do in department stores and then place them stacked on top of each other. Now, we do it the same way and fold one more time in half and BOOM. You get this! 4. Protect Your Family’s Skin. 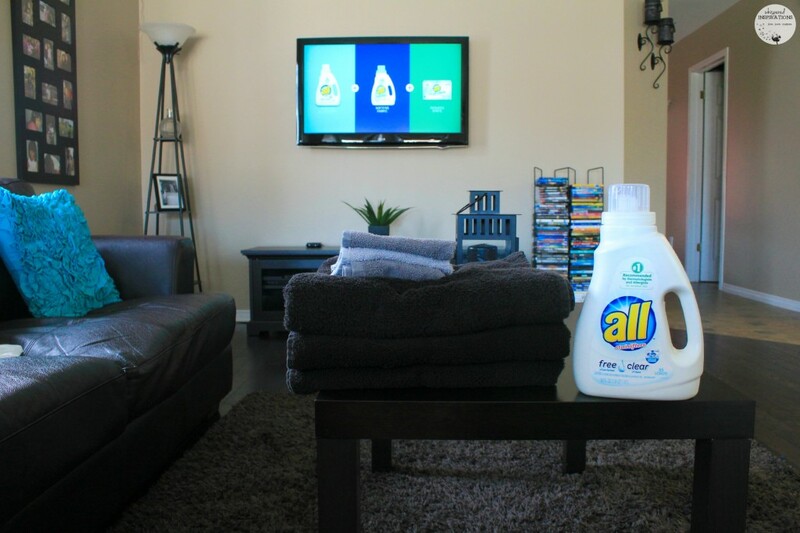 Nothing will make your life easier than finding the detergent that works the best for you. Especially if you have family members that have very sensitive skin. all free clear is the #1 recommended detergent brand by Dermatologists, Allergists, and Pediatricians for sensitive skin. It’s 100% hypoallergenic, tough on stains yet gentle enough for the whole family. all free clear detergent (liquid and mighty pacs), fabric softener and dryer sheets have received the National Eczema Association (NEA) Seal of Acceptance. Why? Simply because they avoid certain chemicals, dyes, perfumes and residues that are known to be unsuitable for use by persons with eczema or a sensitive skin condition. 5. Pick Your Outfits for The Week. This is one of my most time-saving hacks. We usually do our laundry on Sunday. It allows for fresh clothes for the week and our Sundays tend to be slow. Each Sunday, we pick out Michaela’s clothes for the week. That’s entire outfits and we hang them together on a hanger. 5 outfits for each day of school. We leave out the outfit for the next day so when she wakes, she knows to put it on. 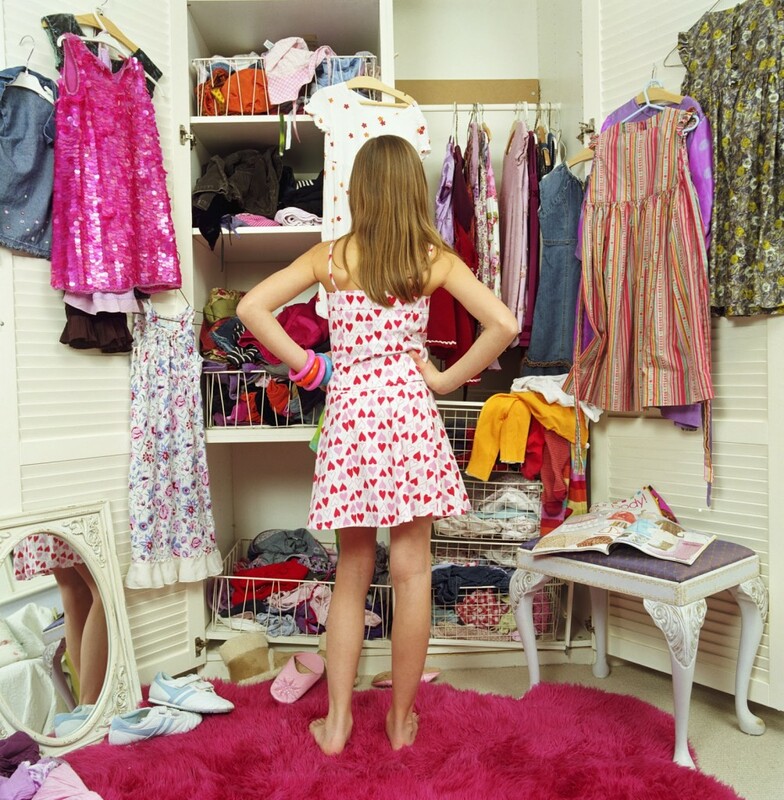 Gabby picks out her own outfits for the week and hangs them in her closet and chooses day-to-day what she wants to wear. Depending on her mood or the weather, she just grabs and goes. It makes the mornings smoother and saves time. Try it, you’ll thank me! I know that you may think it’s more work but, you’re already putting it away and once you take the extra time to do it, it’ll save you more time during the week. Trust me! Now that you have a few extra hacks under your belt, you’re ready to conquer the world! Yes, at least that’s how I feel when I’ve finished my laundry (with no stains), the kids have their week’s outfits and we are set for the week! Not to mention, I know that their sensitive skin is protected by using all free clear detergent. Do you have laundry or life hacks to share? Let me know, til then–cheers m’deers! Great hacks! I wish my kids were as helpful. They're too busy goofing around and putting clean underwear on their heads. Or hiding dirty socks under their beds. Impossible! Thanks for these great tips. Laundry is the bane of my existence, so I always love learning new ways of making it easier on myself. I am totally with you on that! Oh boy. I am all about some laundry hacks now! My favorite one is using club soda to get stains out. All is a brand I am not familiar with so I will have to check it out. Laundry is probably my least favorite chore! Good to know there are so many hacks to make laundry a little more bearable! LOL, folding is worse for me. 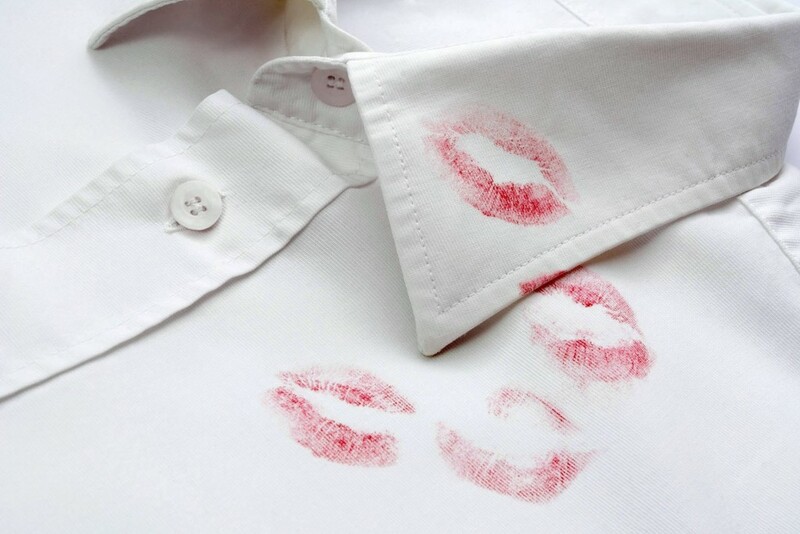 Yet, i love your tip about the shirts in drawers, genius!! LOL, call me crazy, I LOOOOOVE ironing. I love All Free & Clear Laundry Detergent. That's all we use in this house. I can't stand scented laundry detergent, ever since I was pregnant with my daughter, and I love that this doesn't have any powerful scent to it, but still gets my clothes clean. It's also very reasonably priced! I need to try folding my clothes in my drawers since I have so many and they're a big mess. Well, my whole household could benefit from that. I definitely have to try that method of shirt folding. Hanging everything up takes up so much space. I have a few bottles of this in my stockroom. I like it because it is not perfumey. Same with my Husband, he likes the lightness of it. I think that it's brilliant that your daughter does her own washing. With my 7 I had to watch like a hawk that their folded, clean washing didn't go back in the laundry basket to be rewashed just because they were too lazy to put it all away! LOL, you have to supervise. That is for sure. These are great laundry hacks. i am definitely going to try the t shirt trick. I have been using this free and clear for a while! I love it! Great list! I love All. It just works! My recent post Celebrate Girl Scout Leaders Day! I love all! My favorite brand for doing laundry. It's saved quite a few garments around here! With four kids in our house laundry hacks are a must! I could use all I can get. Thanks! These are such great hacks. They will make things so much simpler for me. And save me a lot of trouble. Soon enough, they will do it on their own. Ohhh, he does. This is just the drawers. The whole closet is full! I love All. It is perfect for my daughter's skin. I love the weekly clothes hack. I am always trying to get my daughter to do that. I would have never thought to use bread in the laundry room! What a great idea. It's definitely a great idea to get the kids to help with laundry. No one person should have to share the entire workload in the family. It teaches them too, so it is a win/win. That tshirt folding idea is so smart. I do something similar for my travel folding, but never thought about it at home! awesome tip! i hate doing laundry and usually pawn it off on my husband and oldest daughter lol. LOL, that is always a great idea. Great tips! 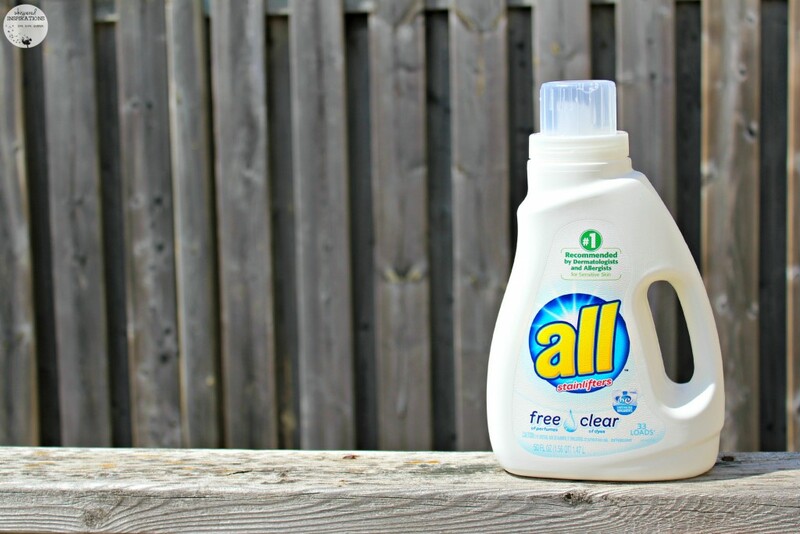 We only use Free All and Clear – love it! This is one department I dislike! But All is our preferred detergent! Very helpful tips. 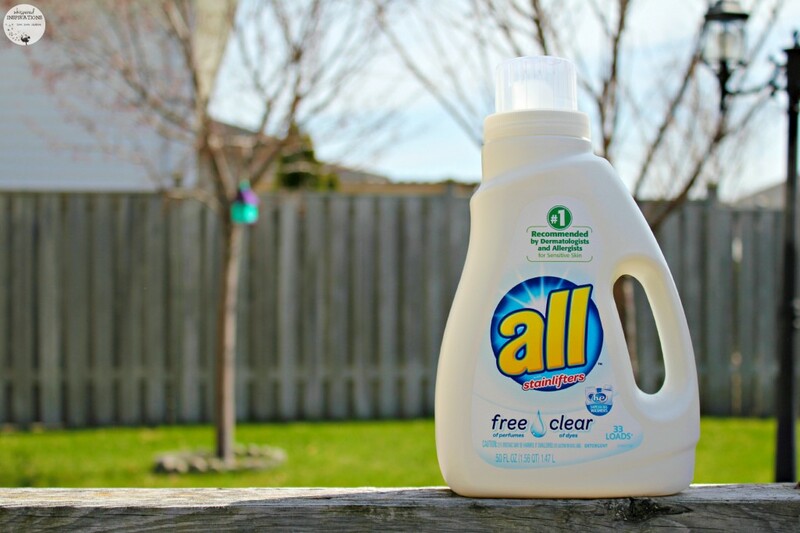 All is one of our favorite laundry detergents. Enjoyed the T-Shirt folding idea! It gives you a lot more room! Very helpful tips. I like how the t-shirts are folded and placed so you can see the graphic. Great idea. And, I need to get my girls doing some laundry! I'll be trying the new folding style next time I organize my dresser drawers. The old way just isn't working and this seems simple to do. Thanks for the idea. Awesome hacks,i never tried this brand before.